Walton has announced yet another new smartphone powered by a Snapdragon processor, Walton Primo V2. This is in fact their second smartphone with a Snapdragon since Walton Primo Z was the first having one. The Walton Primo V2 is different from the rest. How? The processor isn’t the same old MediaTek and the GPU being Mali. 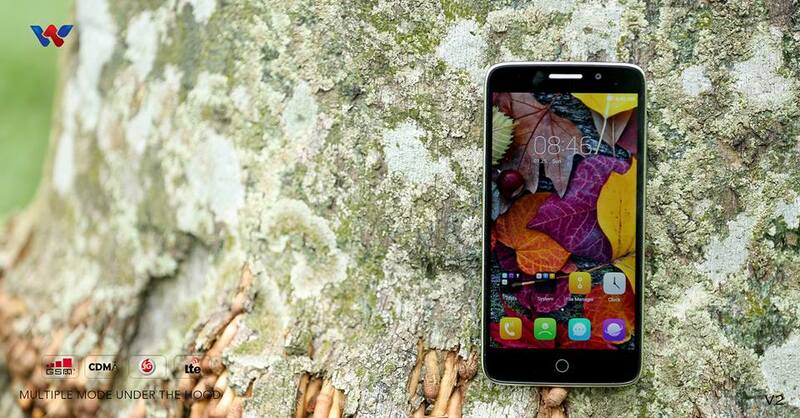 The Primo V2 is powered with a 64 bit Qualcomm Snapdragon 615 Octa-Core processor, 2GB RAM and Adreno 405 as its GPU. Another great feature of this phone is that it includes 4G LTE network connectivity – which is of no use since there’s no 4G connectivity here, yet. From the official hands on video of the device, the device seems to look quite good but could have been a killer smartphone if the design could have been better. The smartphone features a 5-inch display with 1920 x 1080 resolution supporting 26M colors. The display, according to Walton, is a Quantum Sharp Pure Black IPS display which is protected by Corning Gorilla Glass 3rd Gen. The device runs on Android 5.0 Lollipop which has the provision to receive future updates through OTA. The device holds a huge battery power at 3,000mAh which will surely keep the device running for a full day. Check back for our hands-on review of the device soon!